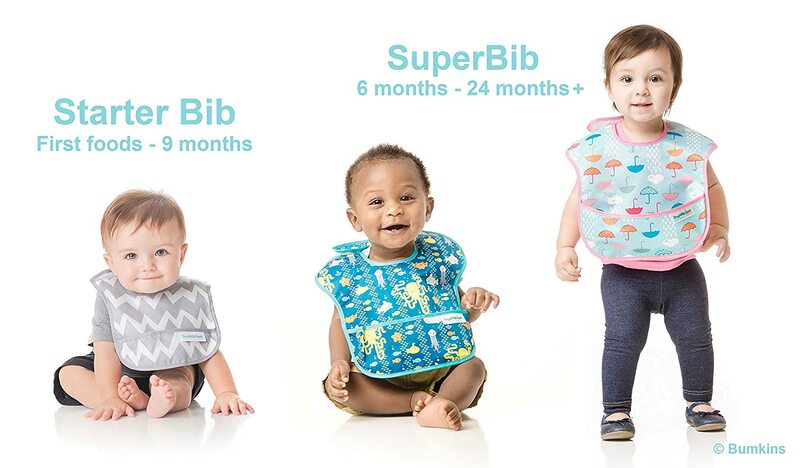 Twice the SuperBib fun. 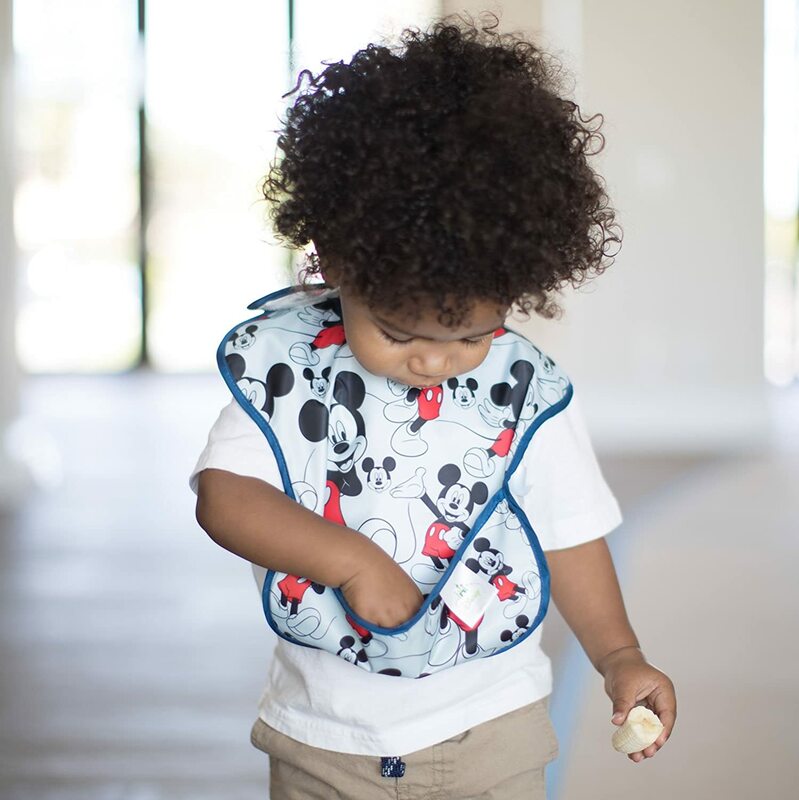 Made from Bumkins' lightweight, easy wipe, machine washable waterproof fabric, SuperBibs are both comfortable and durable. 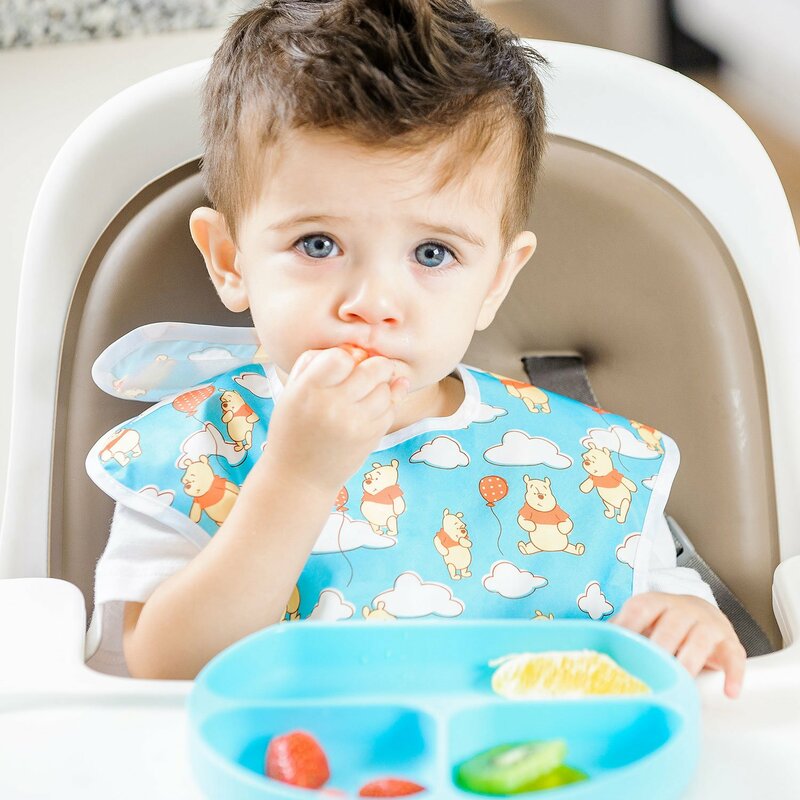 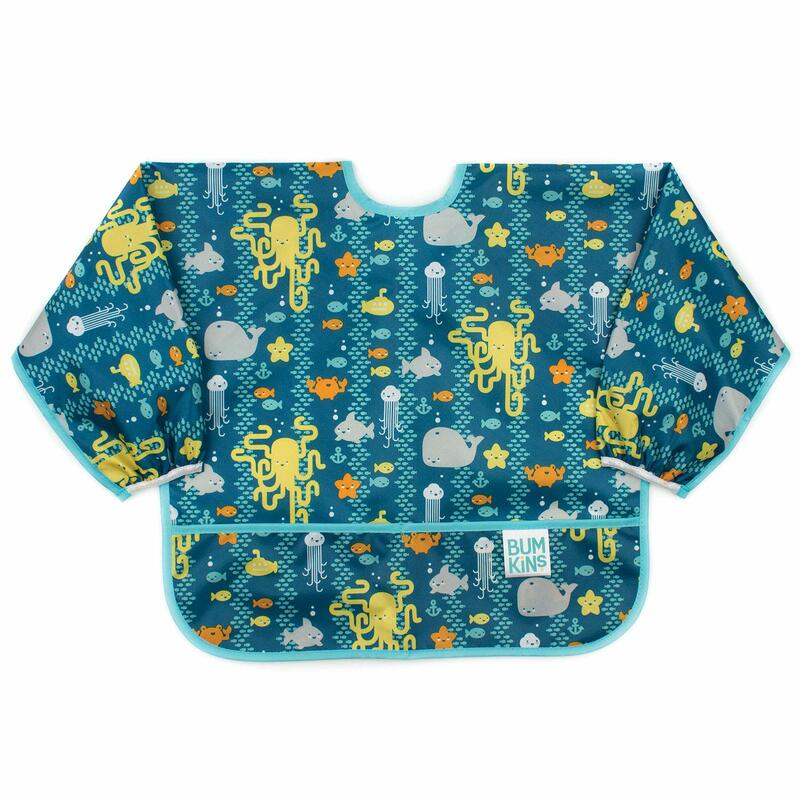 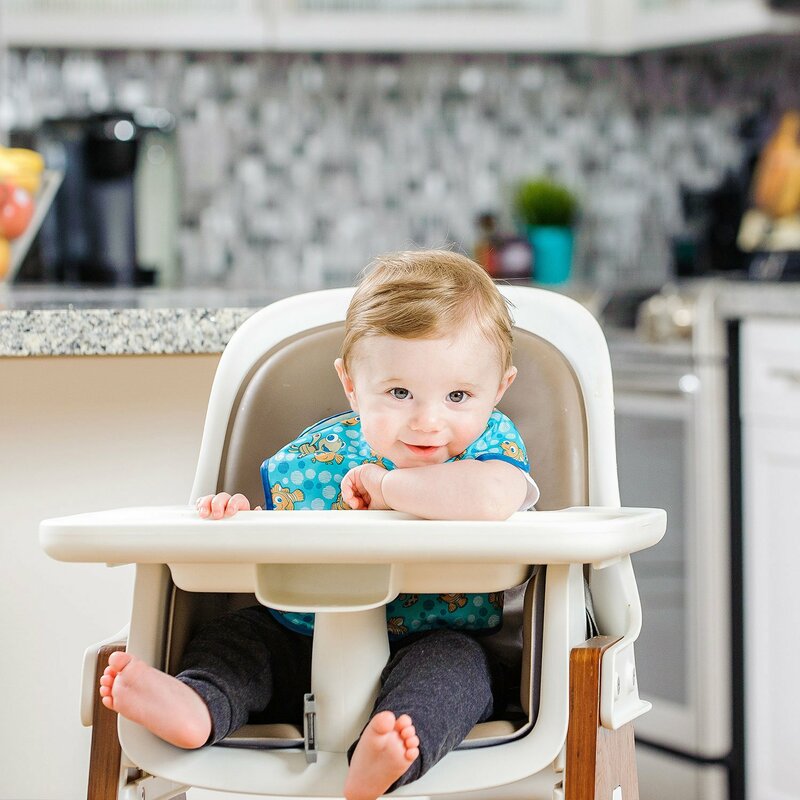 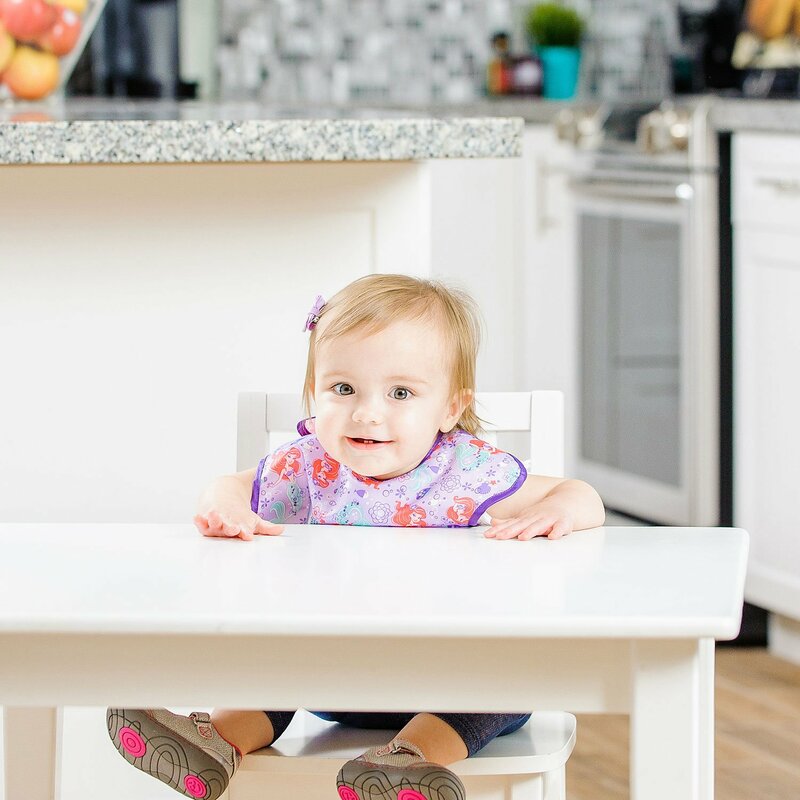 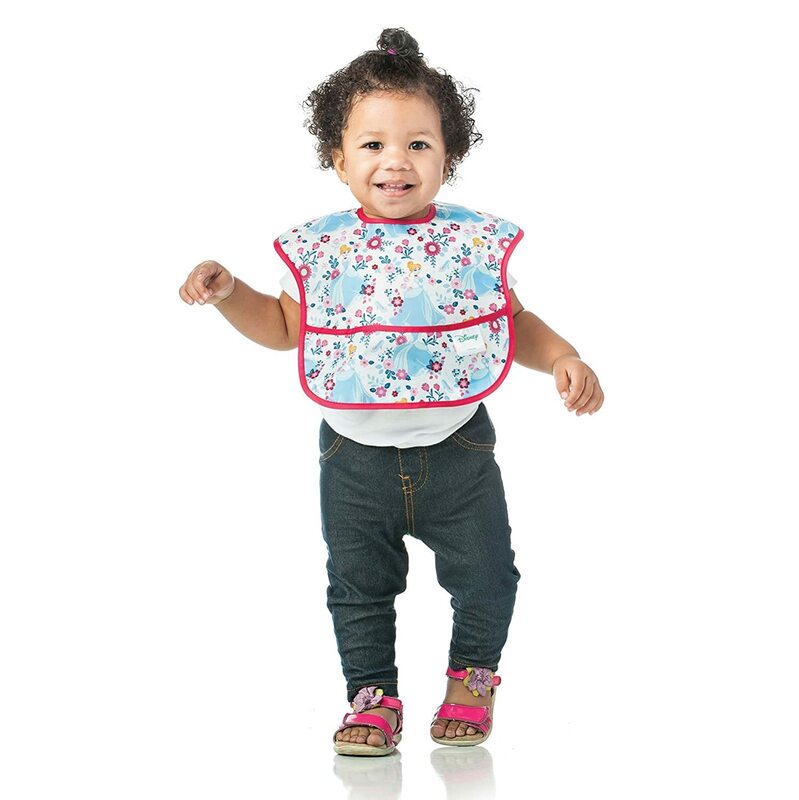 Sized to fit ages 6 to 24 months, these bibs feature a back shoulder Velcro closure for a quick, adjustable and tug-proof fit. 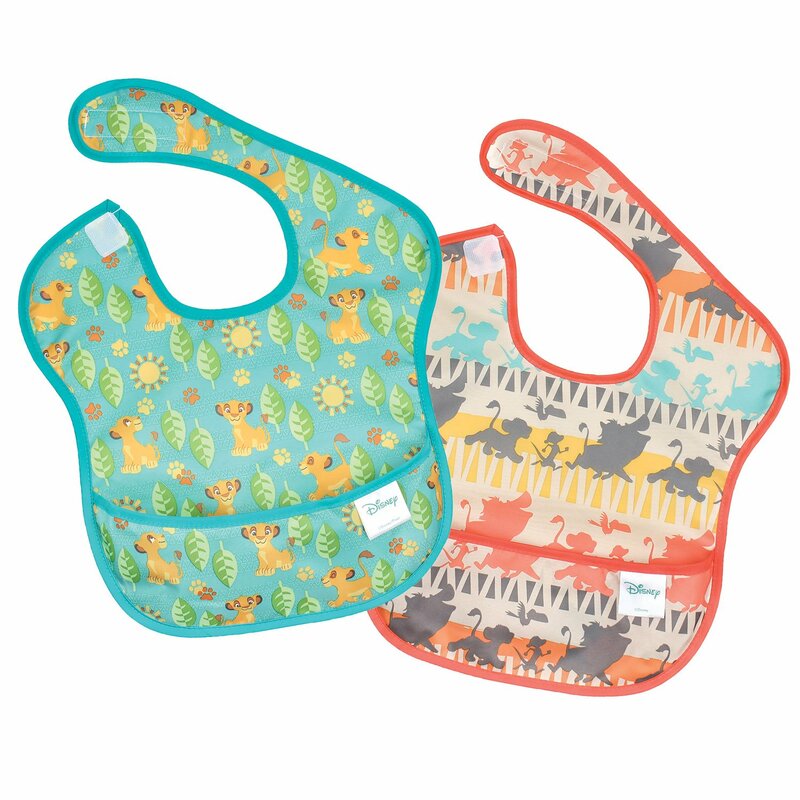 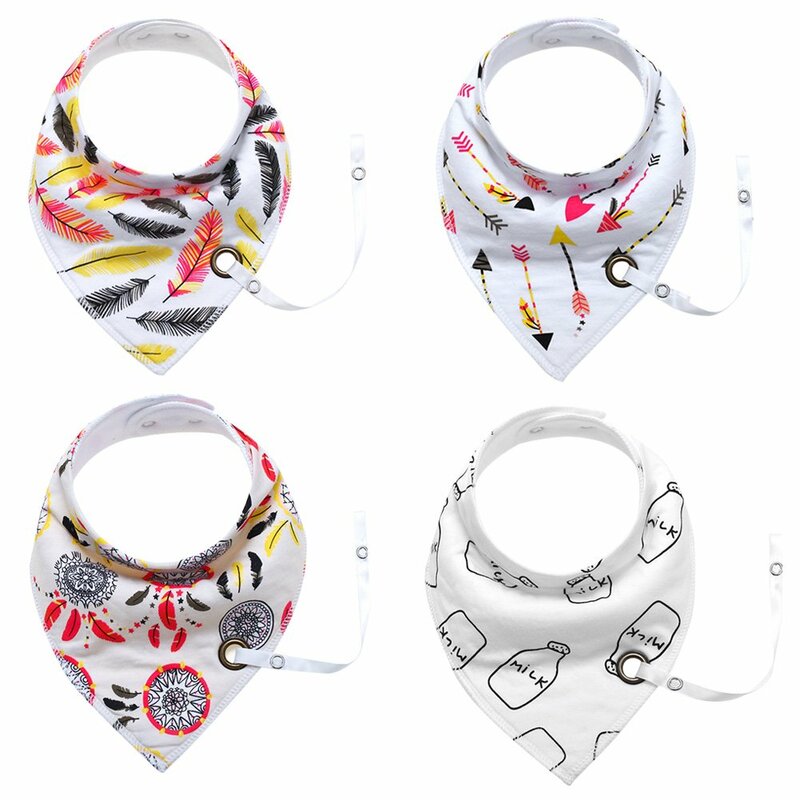 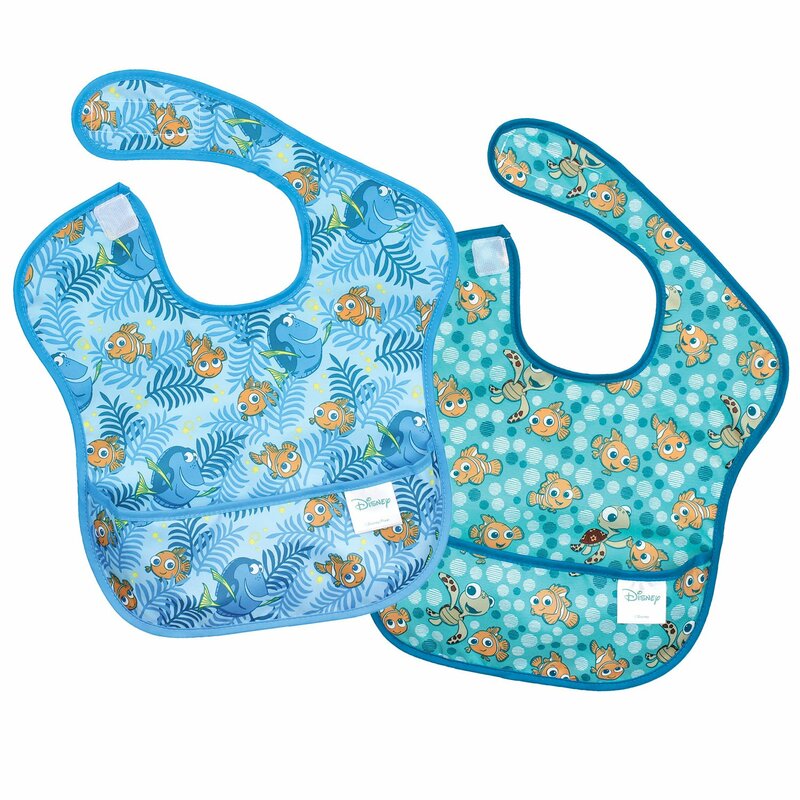 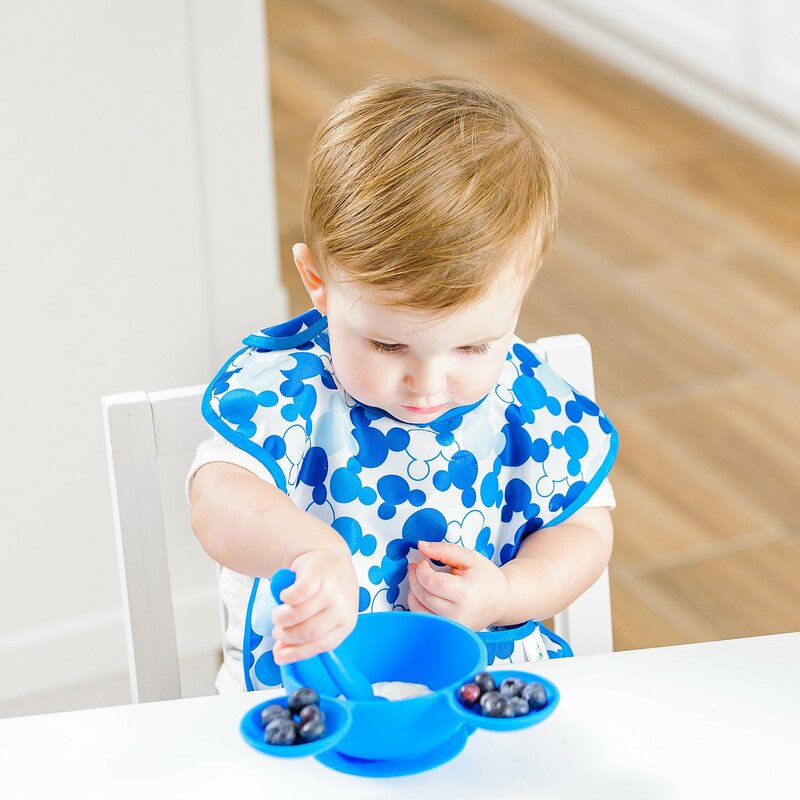 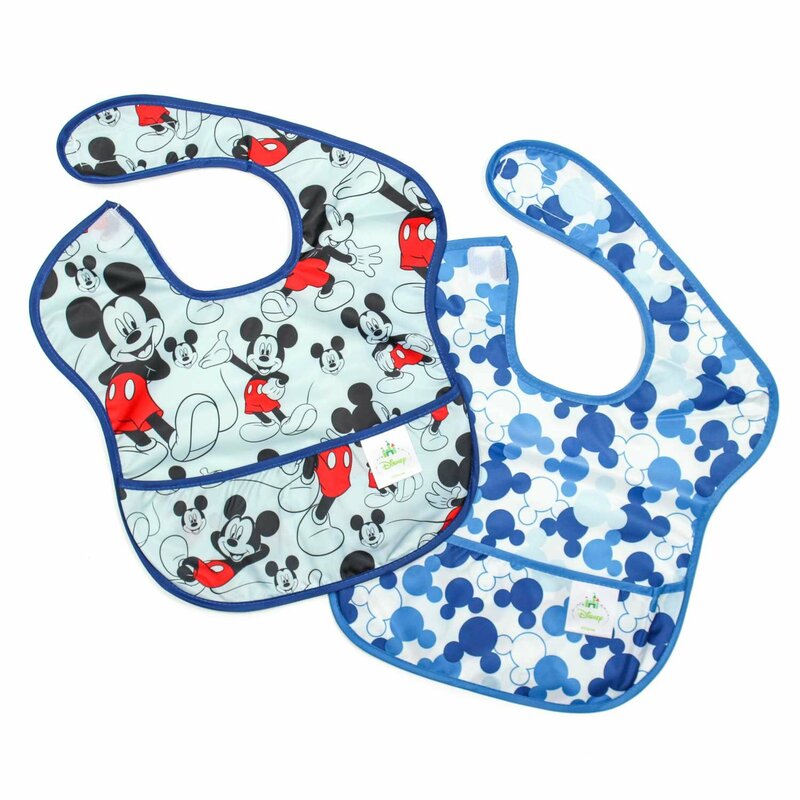 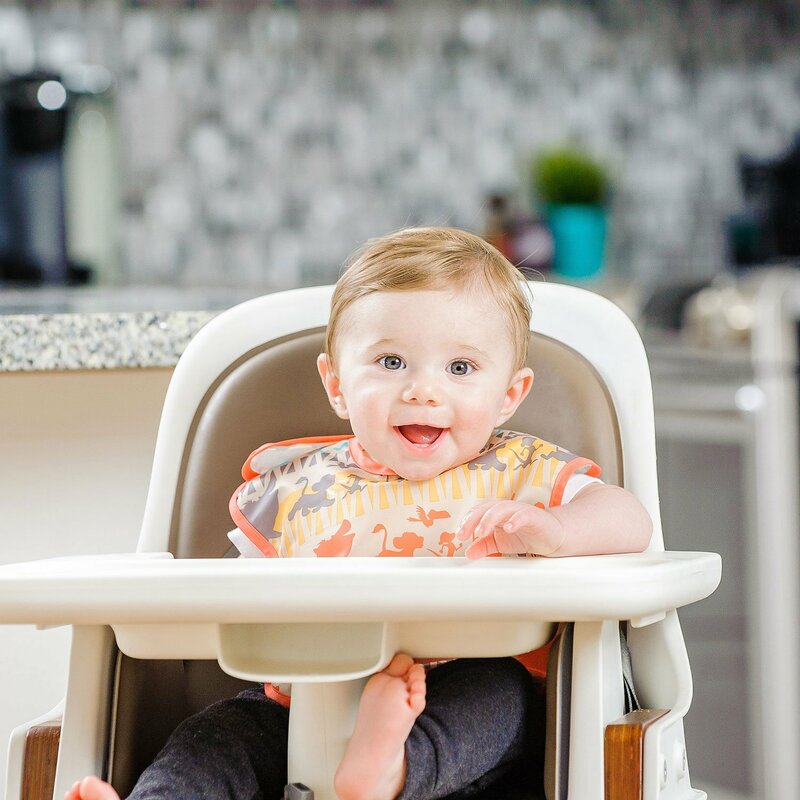 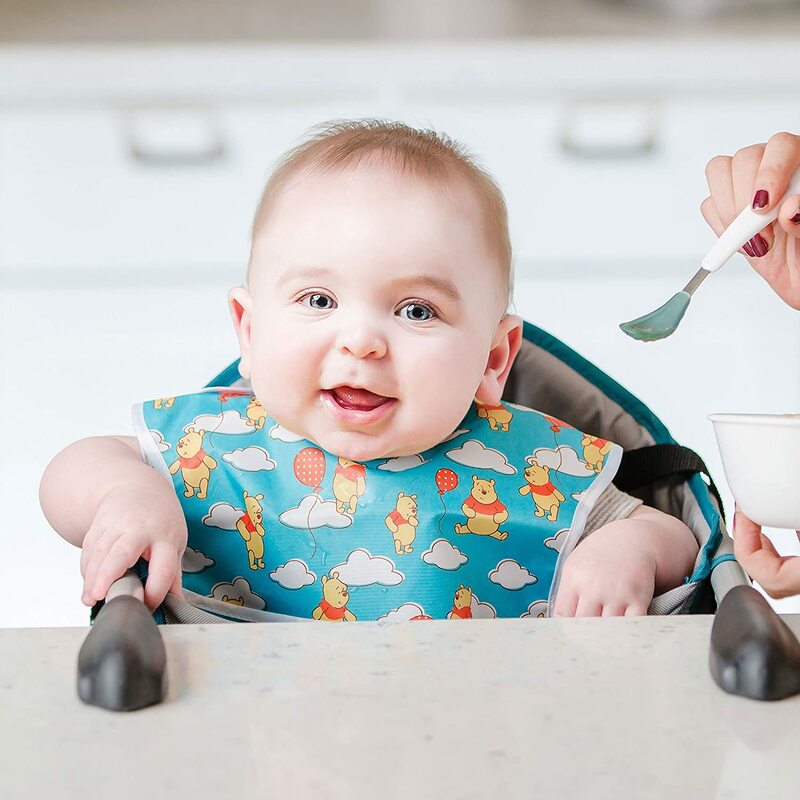 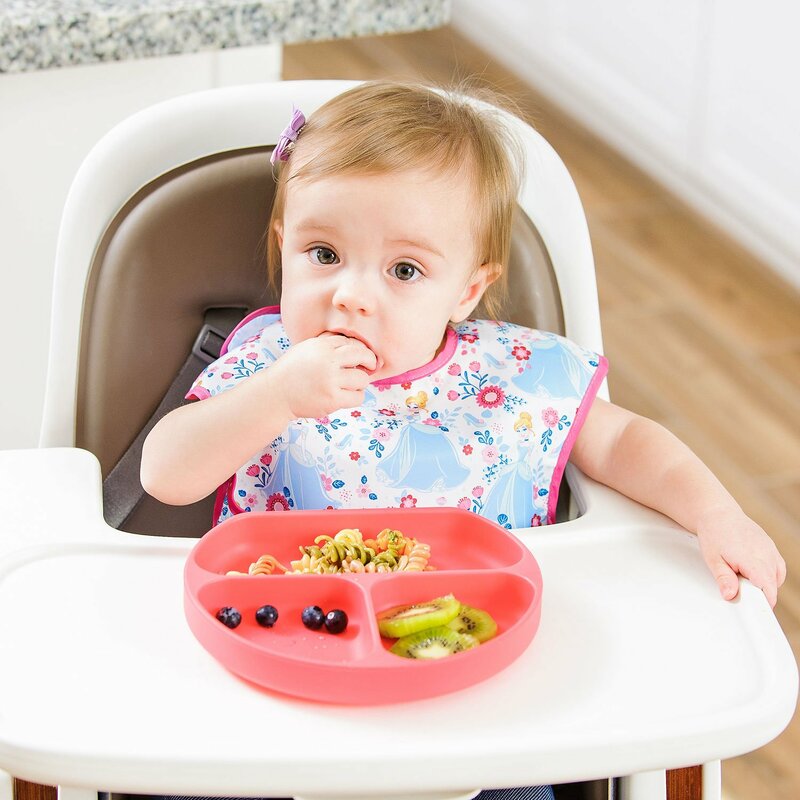 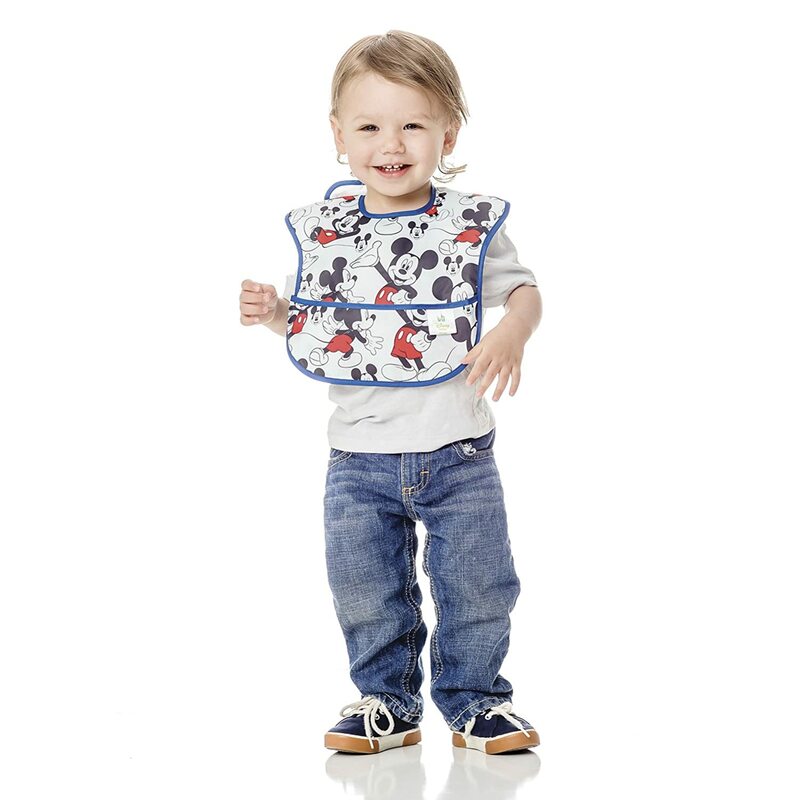 With a handy catch-all pocket for containing spills, these bibs are a great addition to any mealtime. 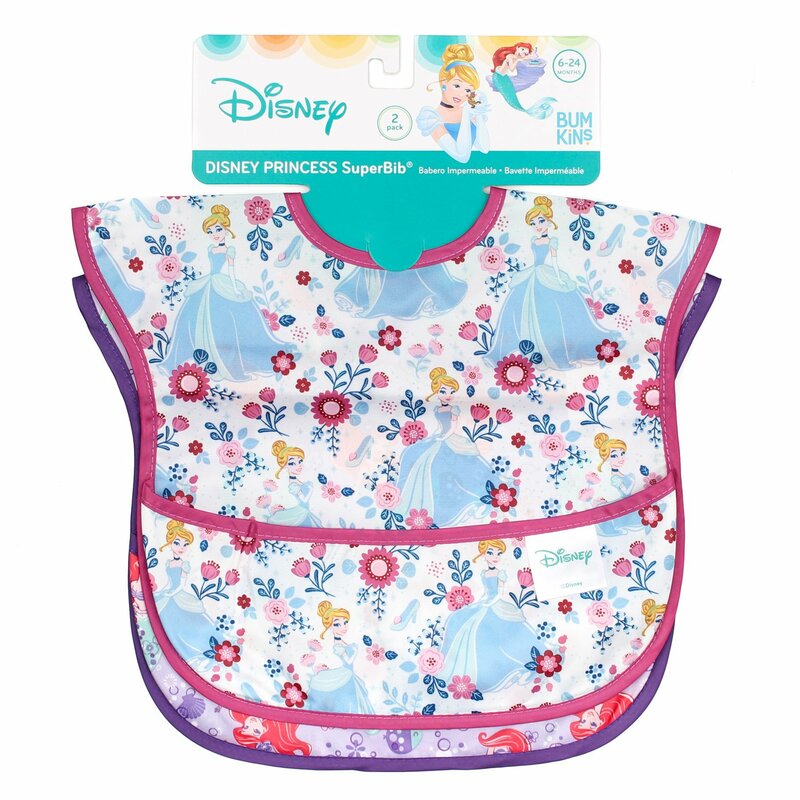 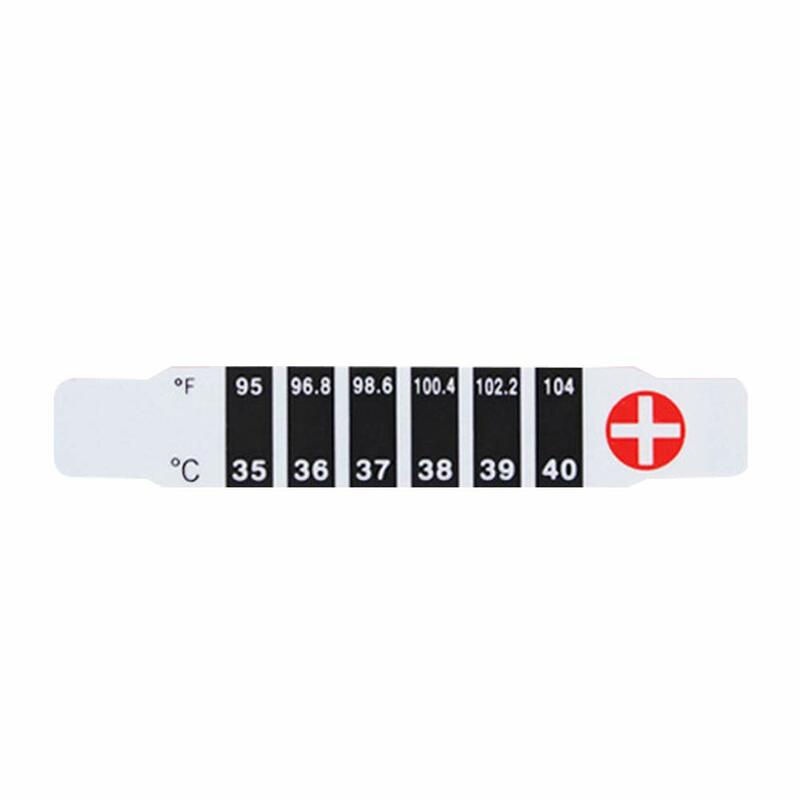 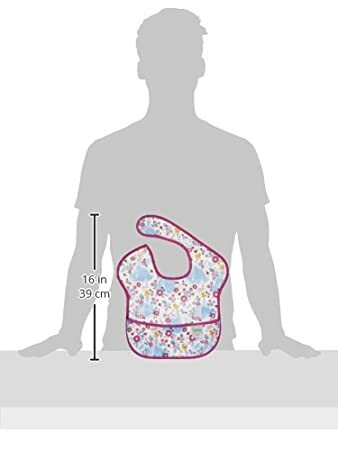 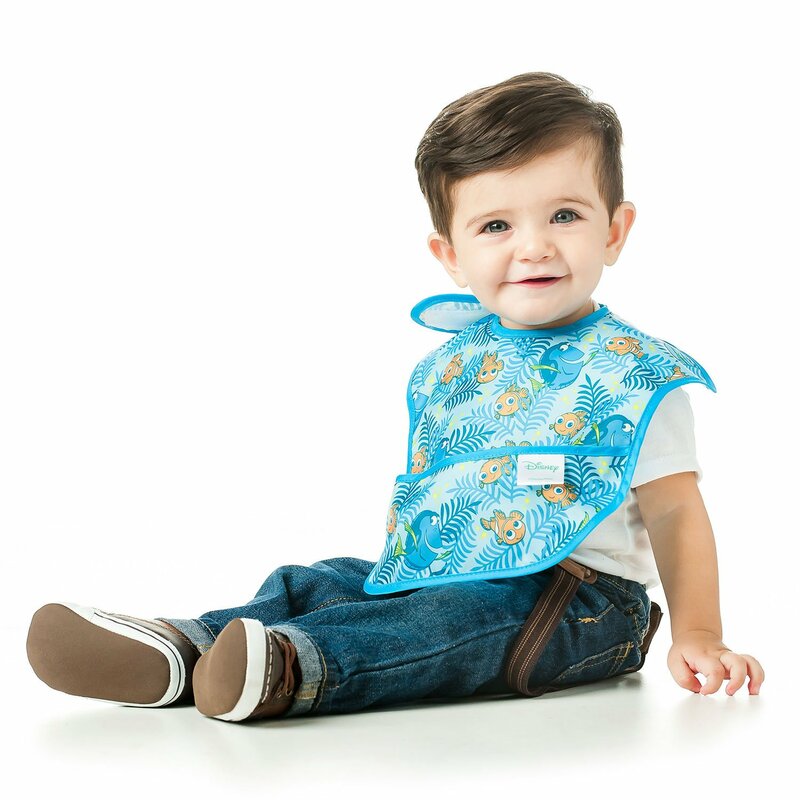 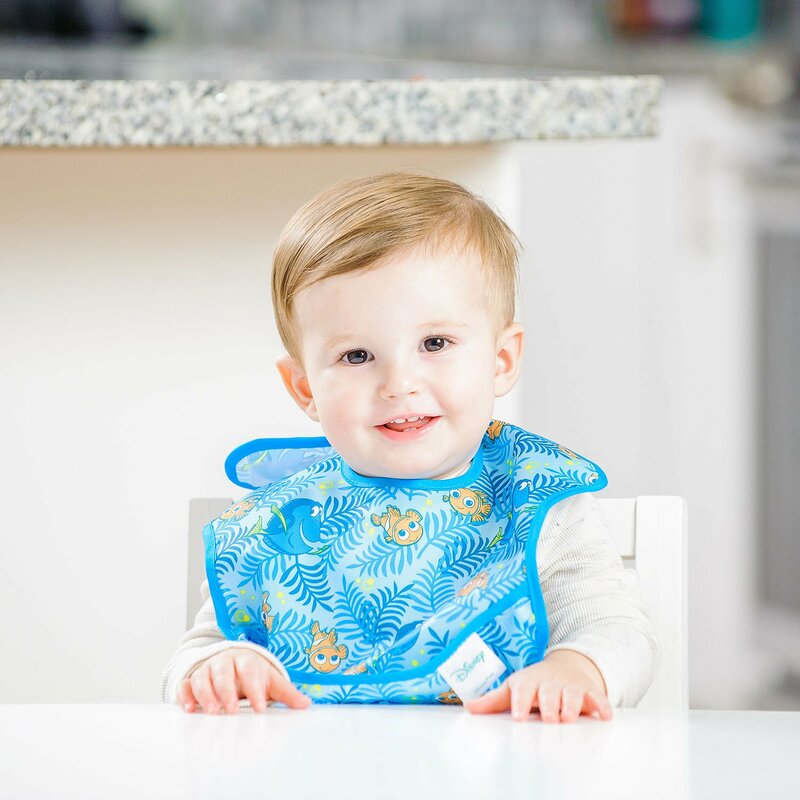 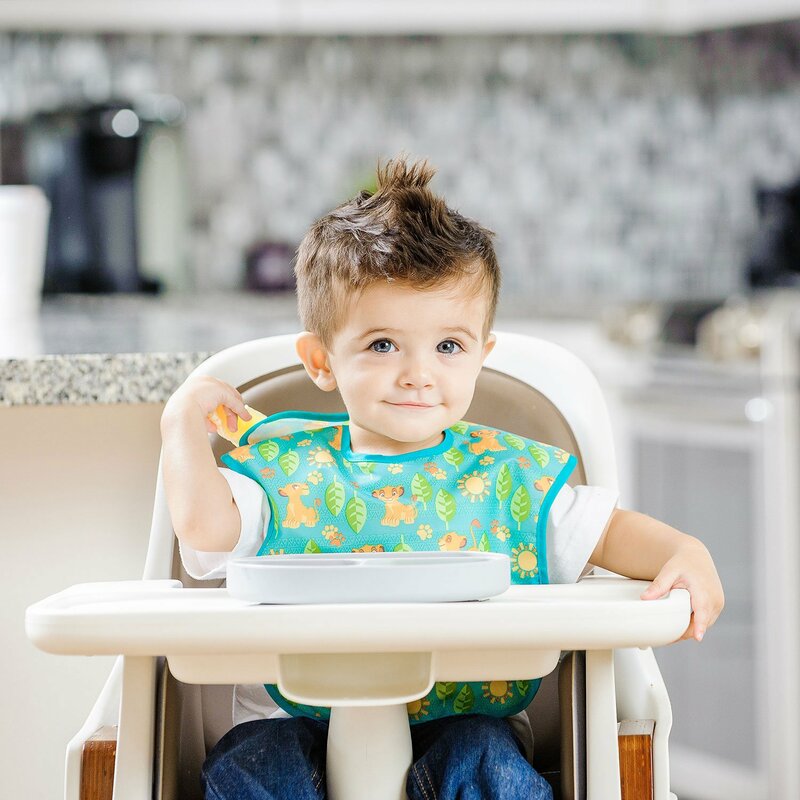 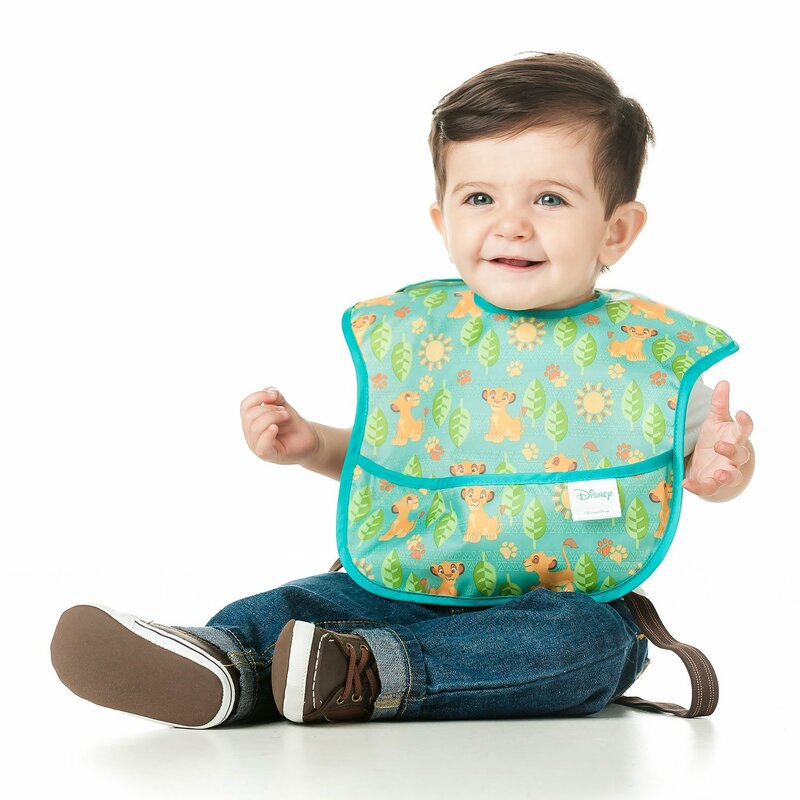 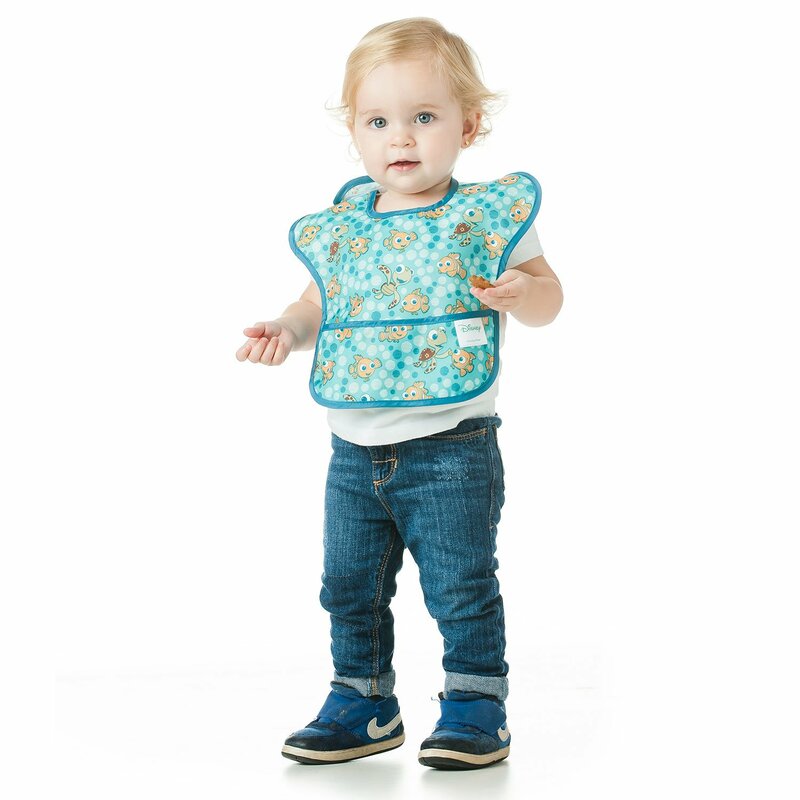 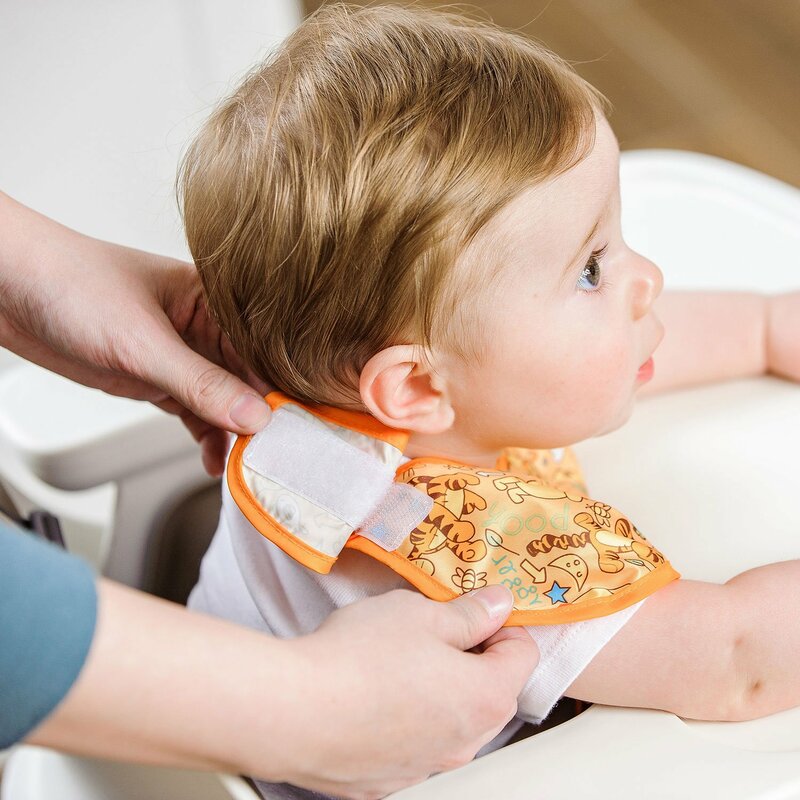 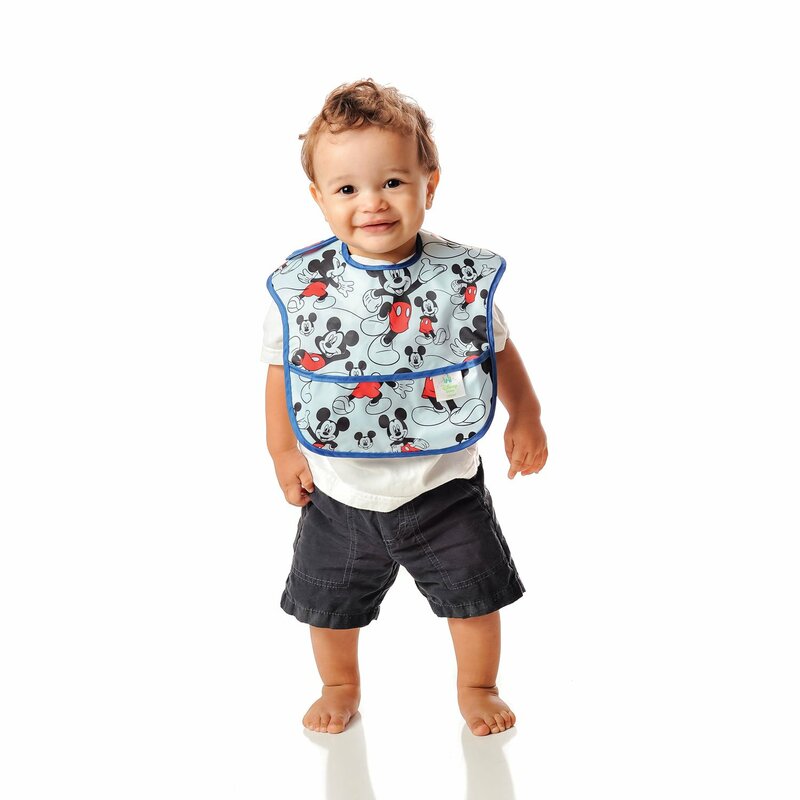 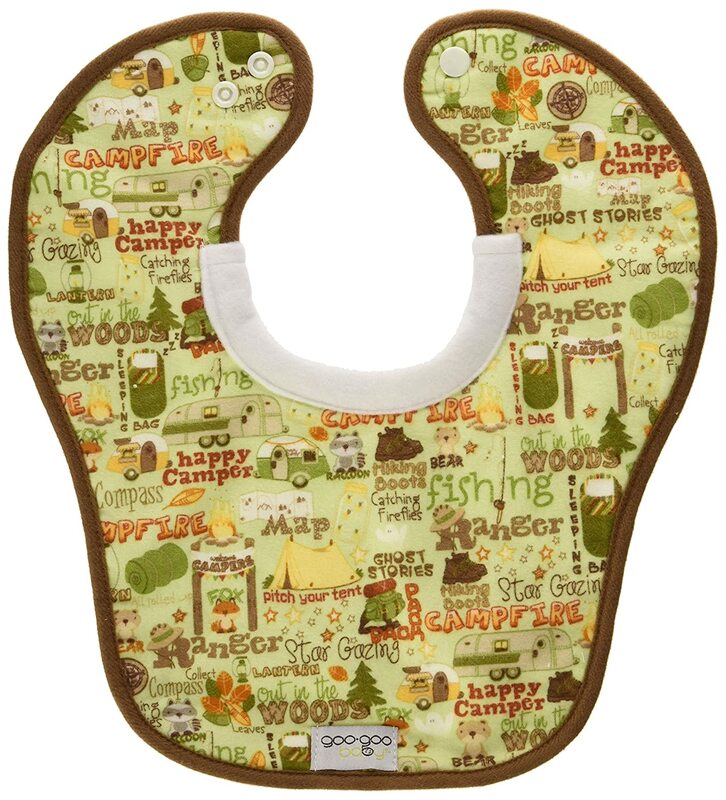 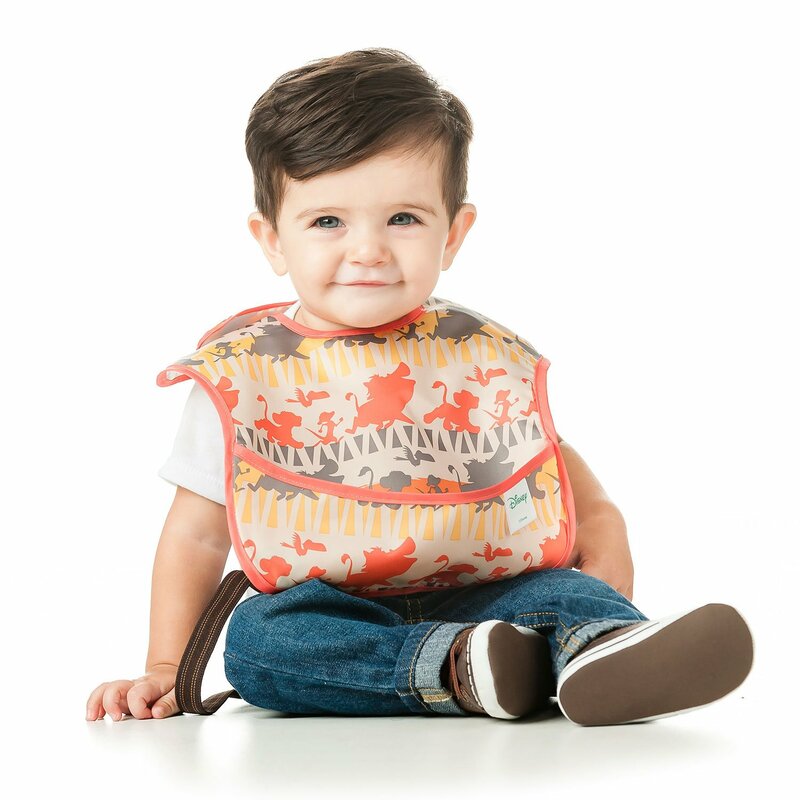 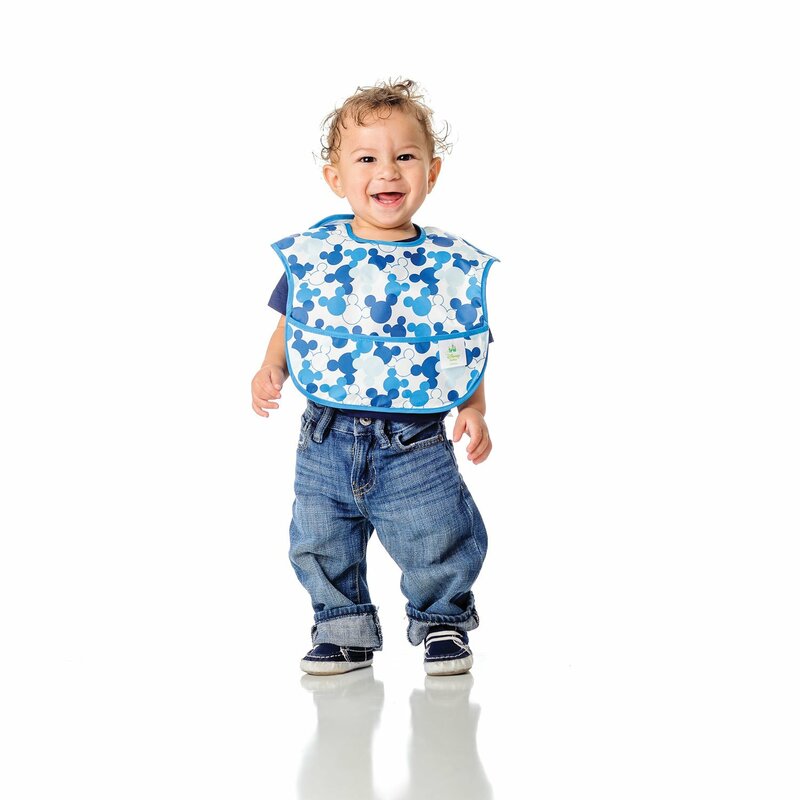 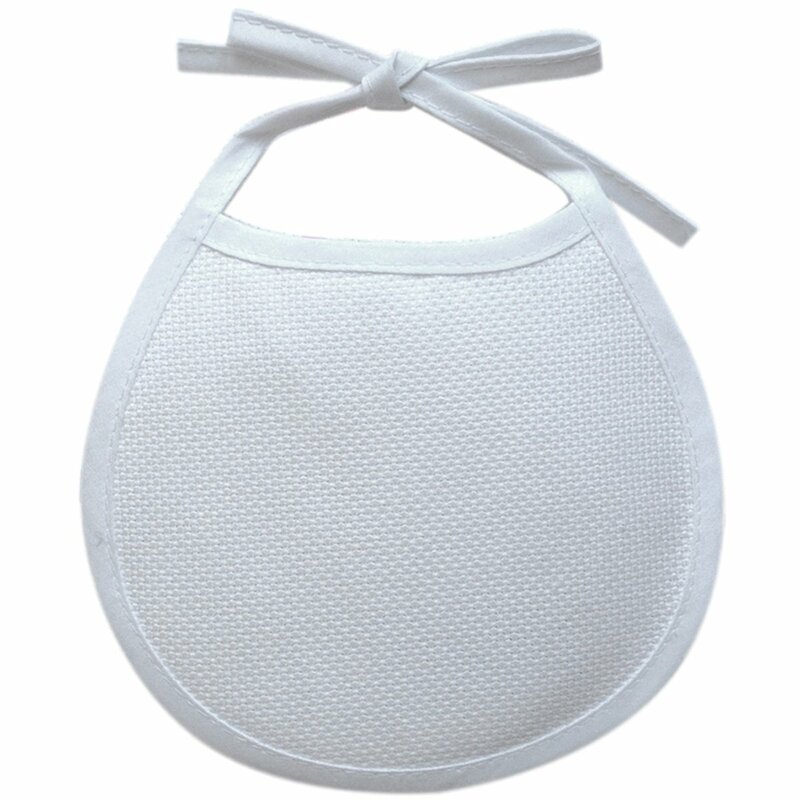 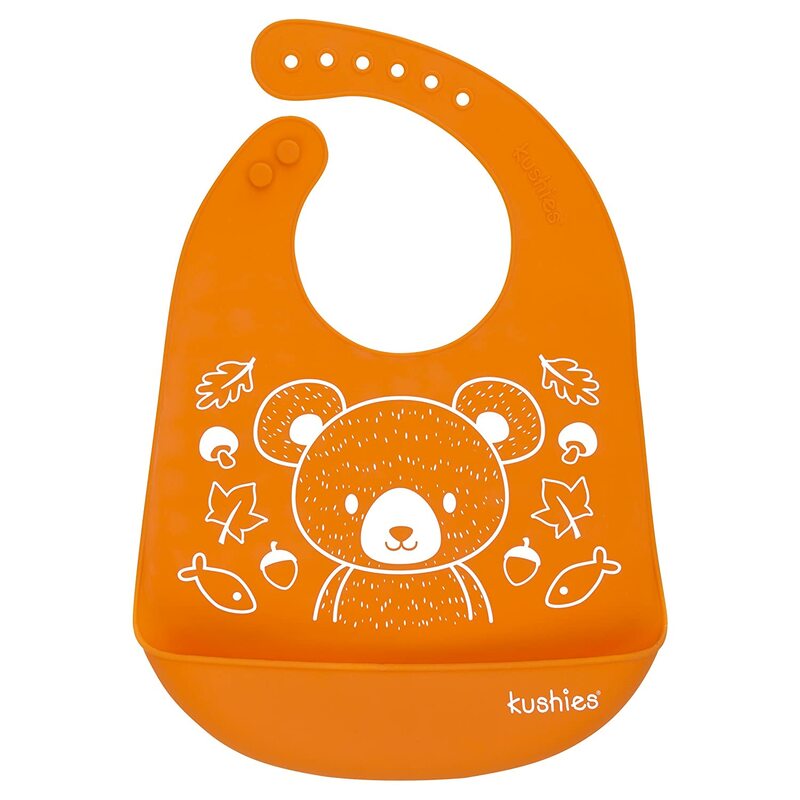 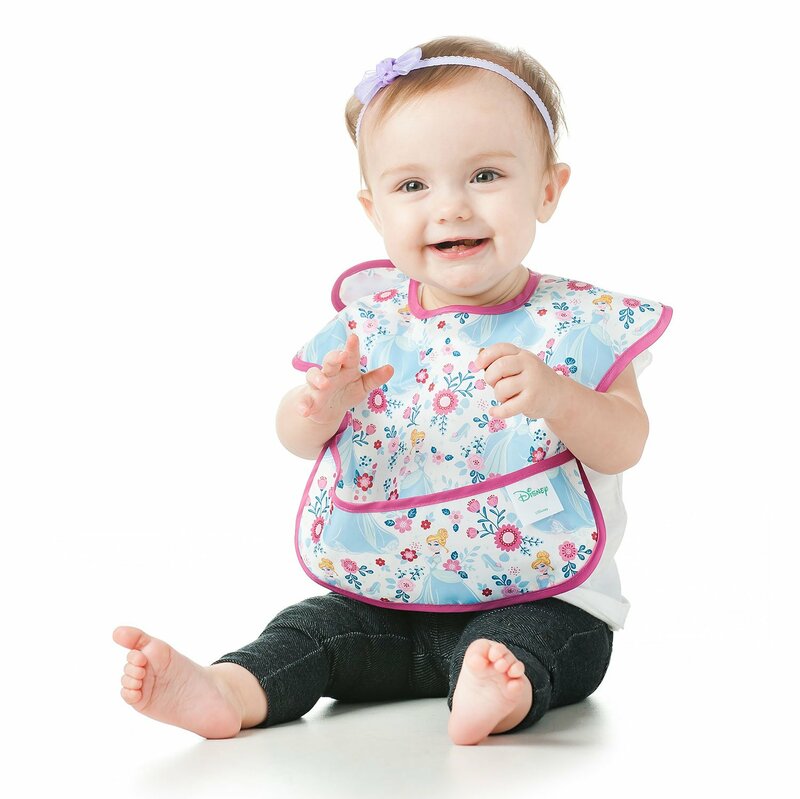 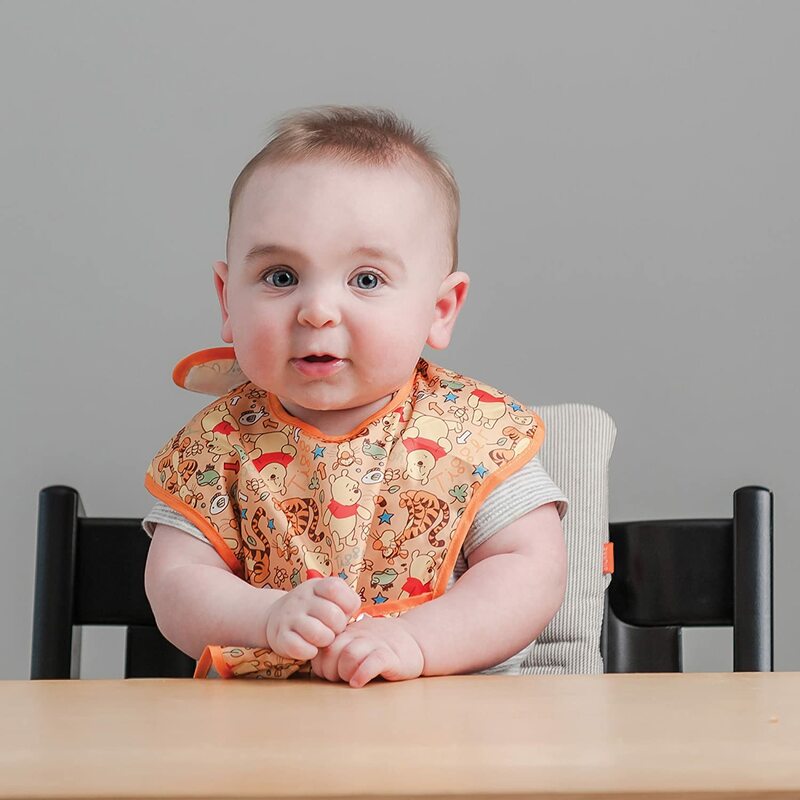 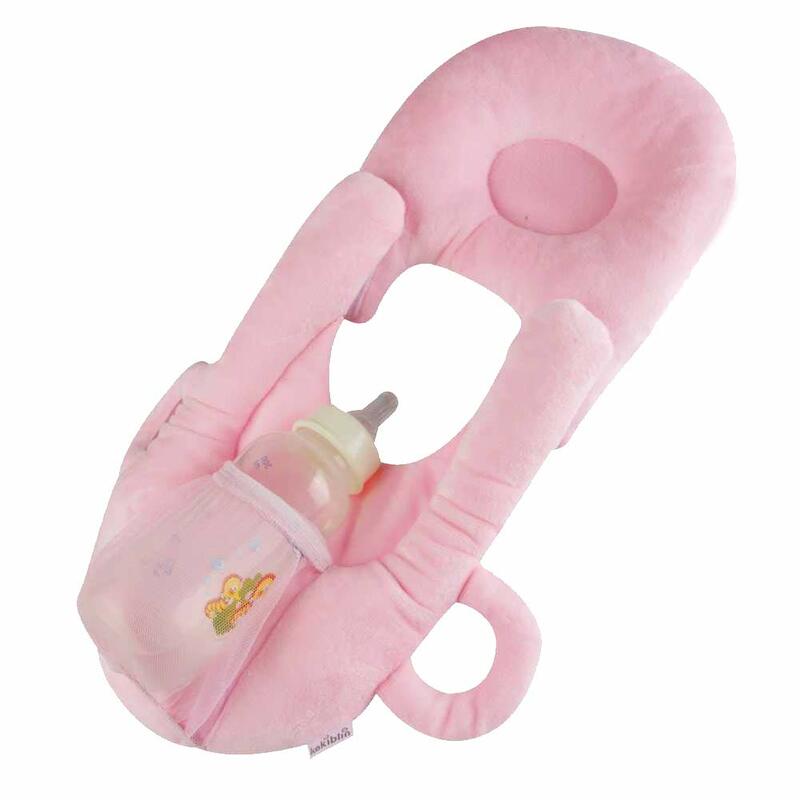 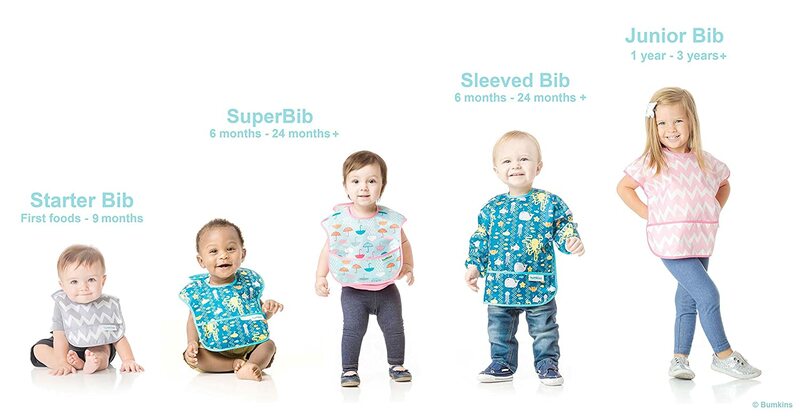 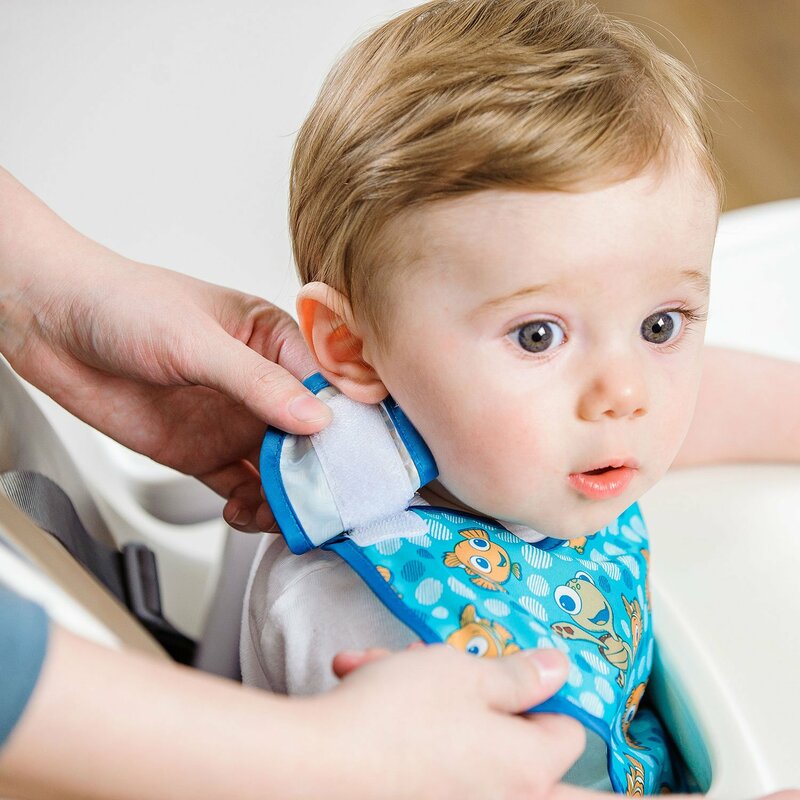 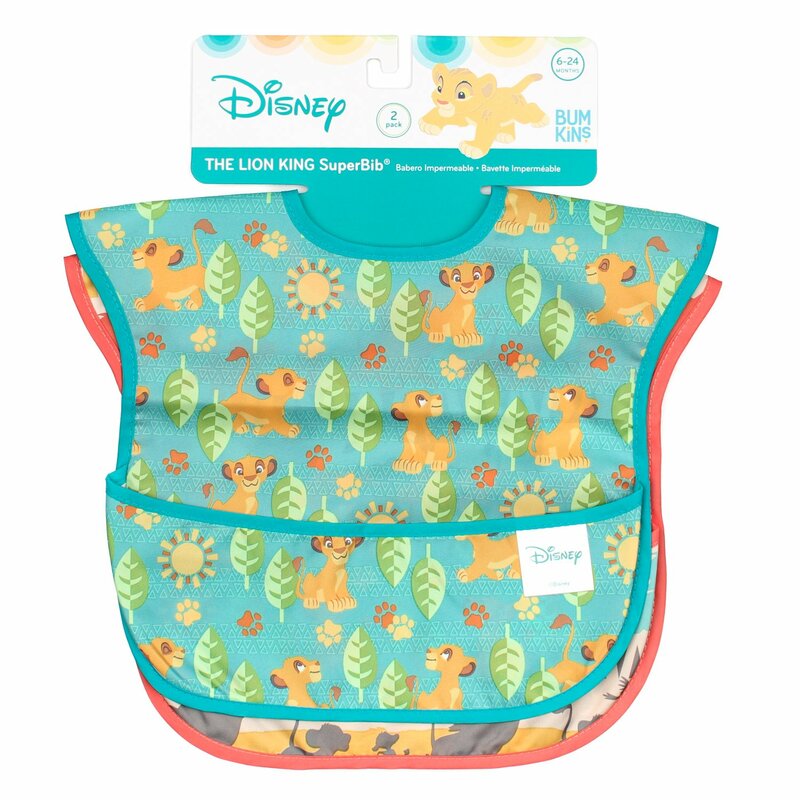 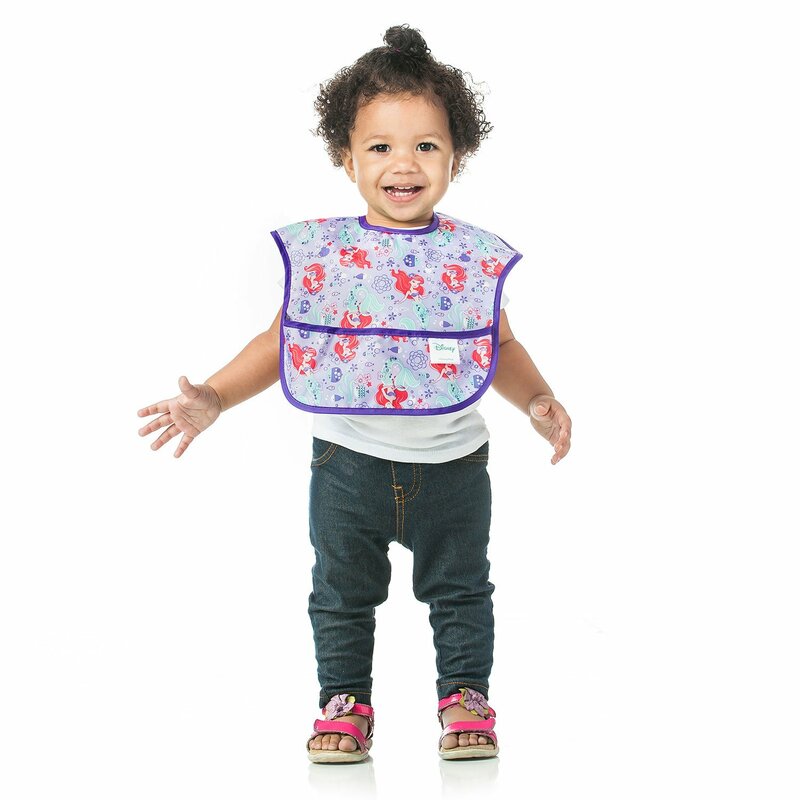 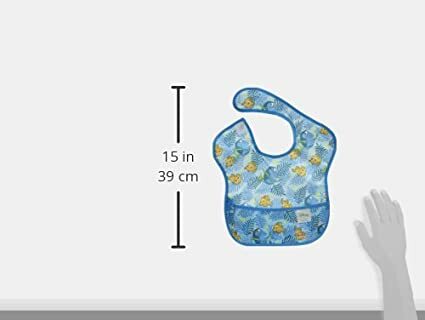 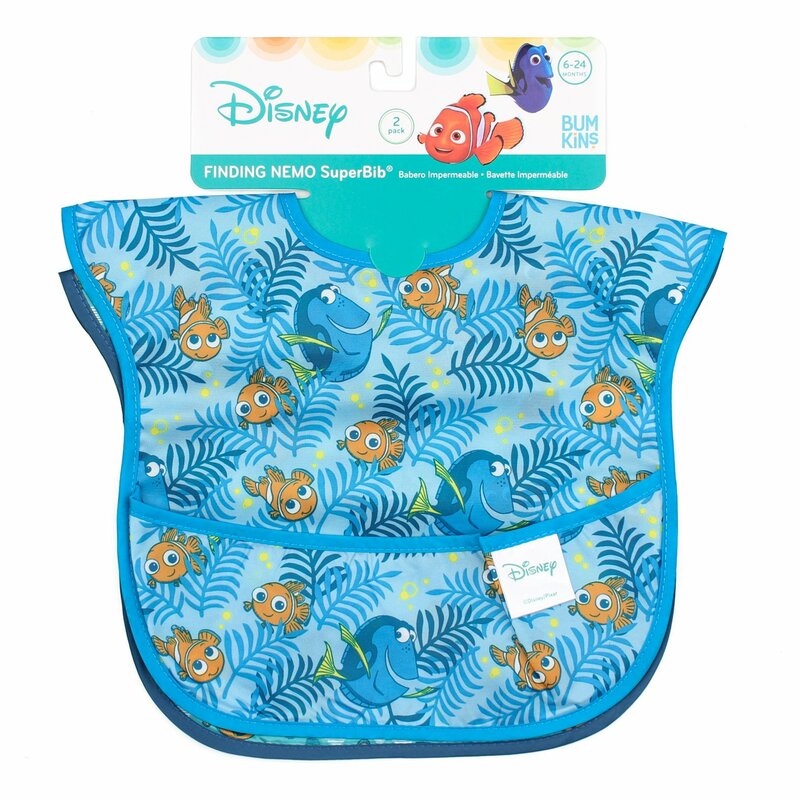 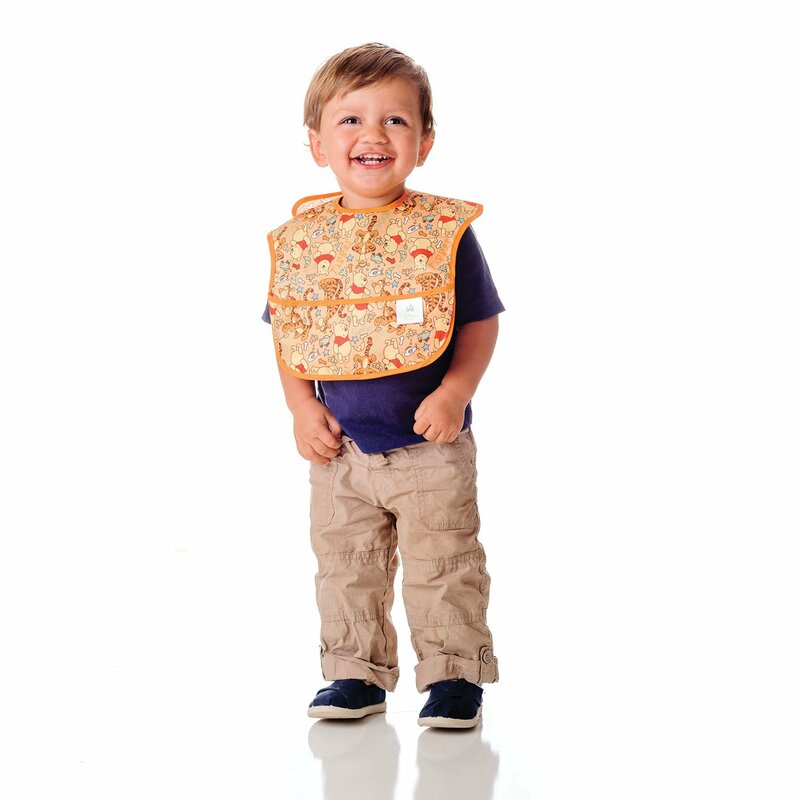 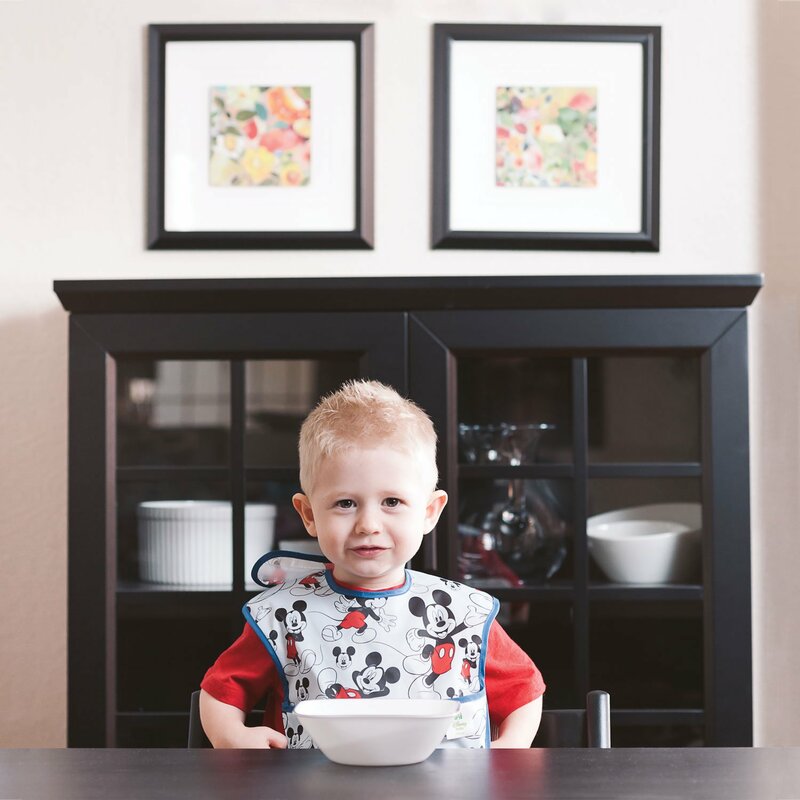 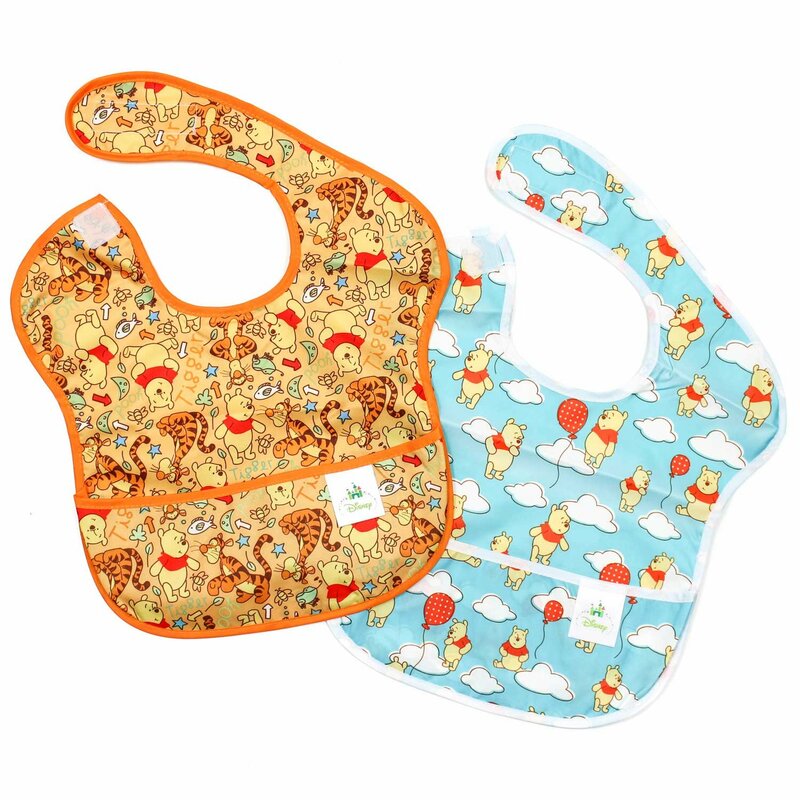 Bibs measure approximately 10" across and 9" from neck down. 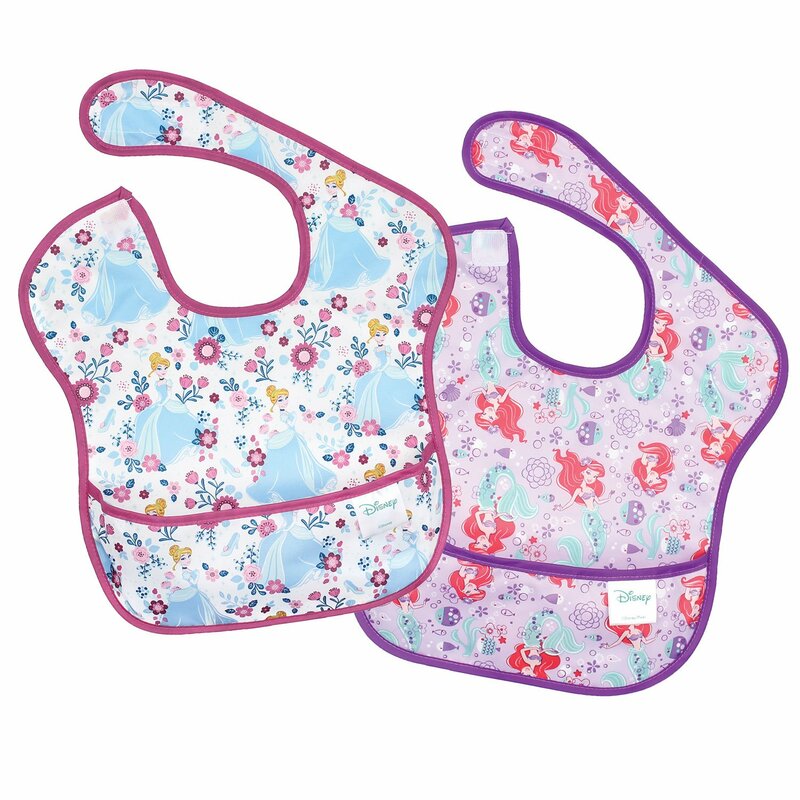 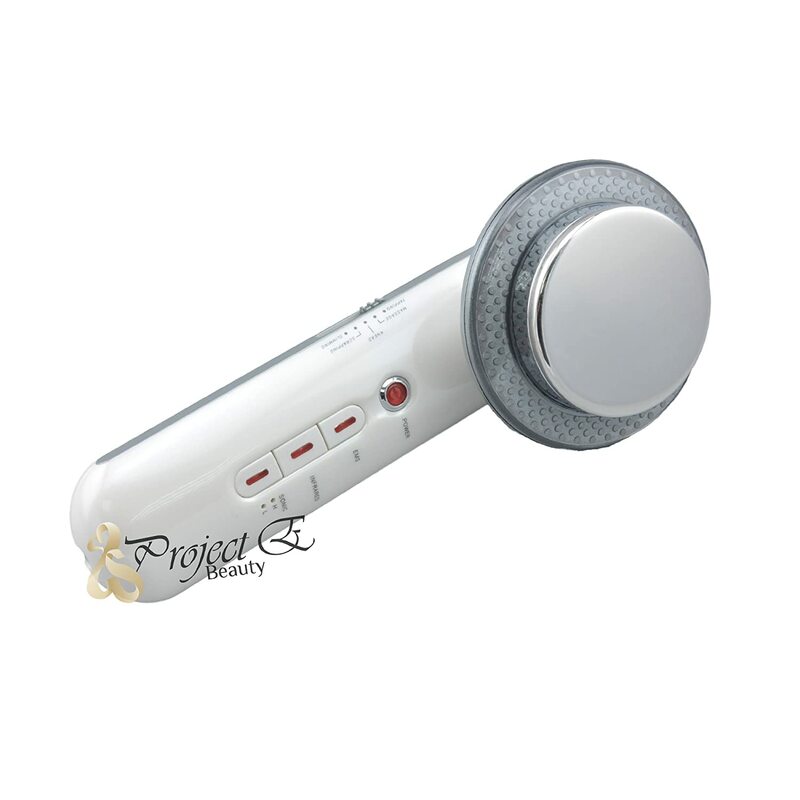 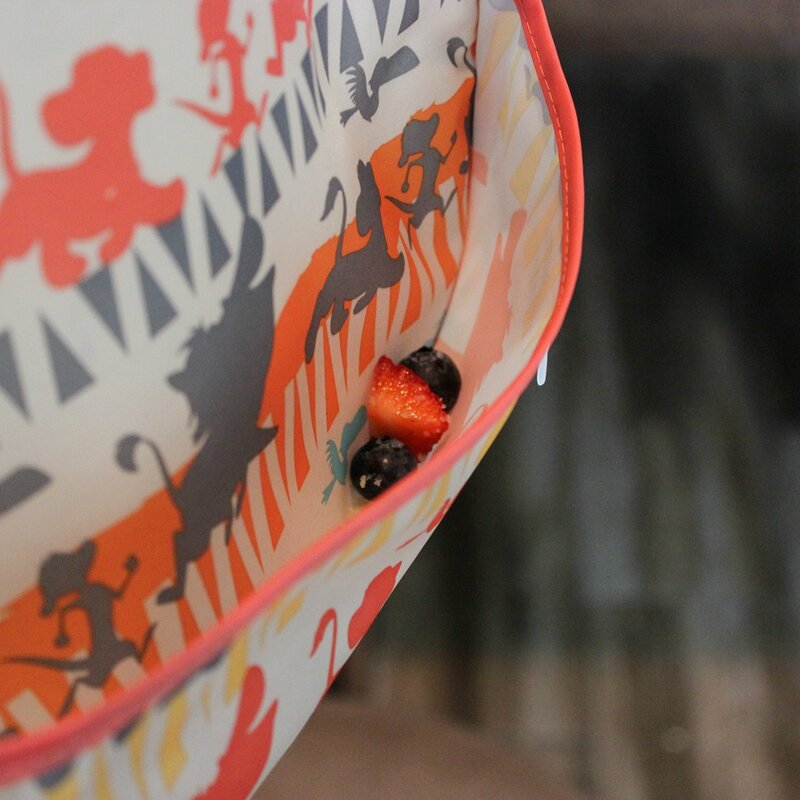 BPA, PVC, vinyl, phthalate and lead free. 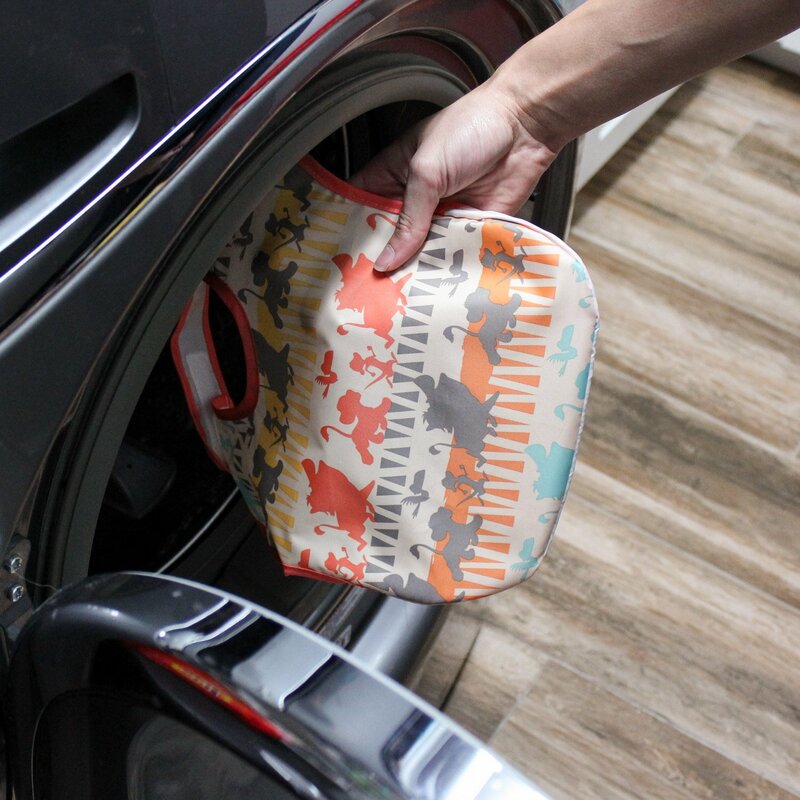 Designed in Arizona, responsibly made in China.